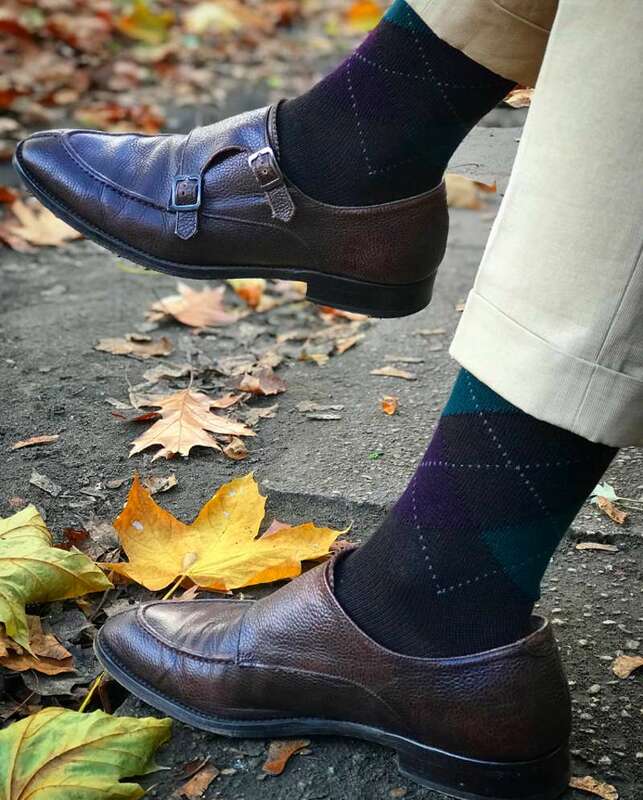 These dark brown over-the-calf socks with a forest-green and purple argyle check are made from a remarkably soft wool blend by renowned sock manufacturer Bresciani. They are just the right weight for mild fall and winter days. 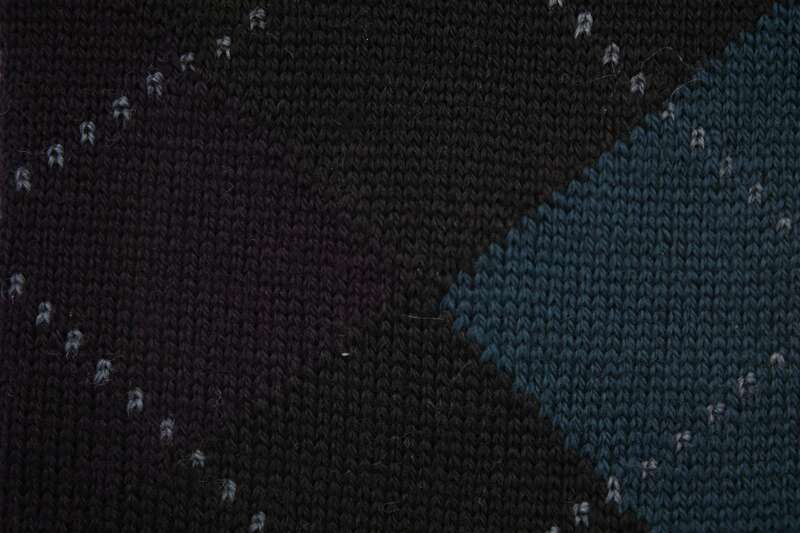 The socks feature a slightly fuzzier texture than our cotton equivalents and a lovely color depth. 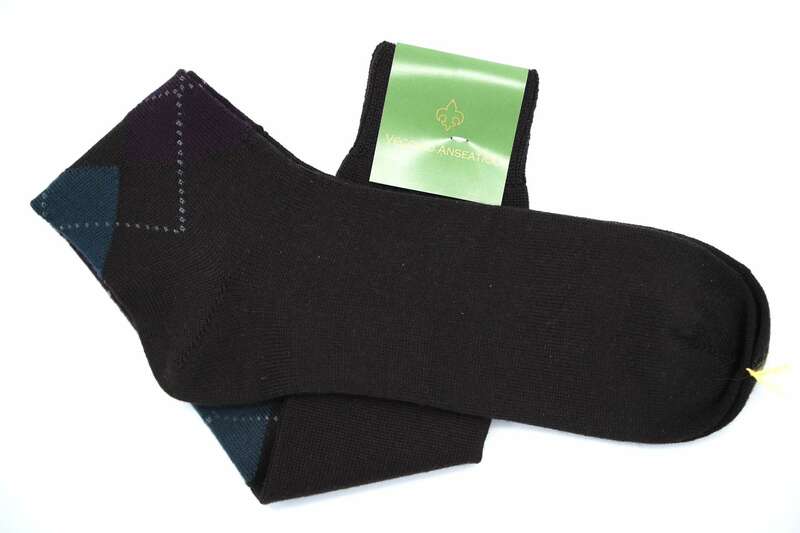 They feel tremendously soft against the skin yet the the reinforced heel and toe make the socks outstandingly durable. On top of that they are machine washable just like any other pair of cotton or linen socks. Pair them with a navy suit and polo suede double monks for a classic look or go bold(er) with a pair of bottle green corduroy pants and cognac scotchgrain penny loafers.